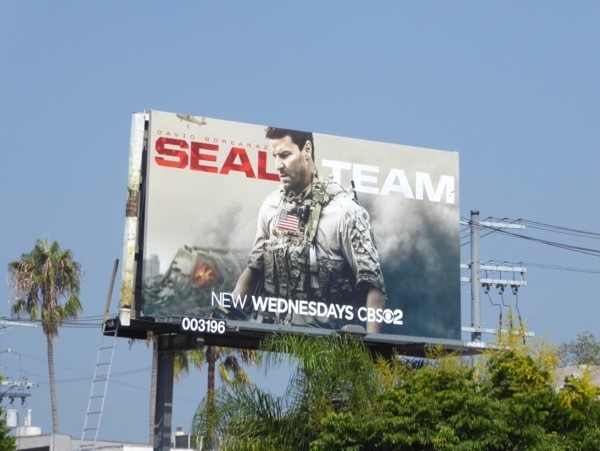 Every TV season there seem to be a slew of competing new shows, be they medical series, courtroom dramas, or police procedurals. 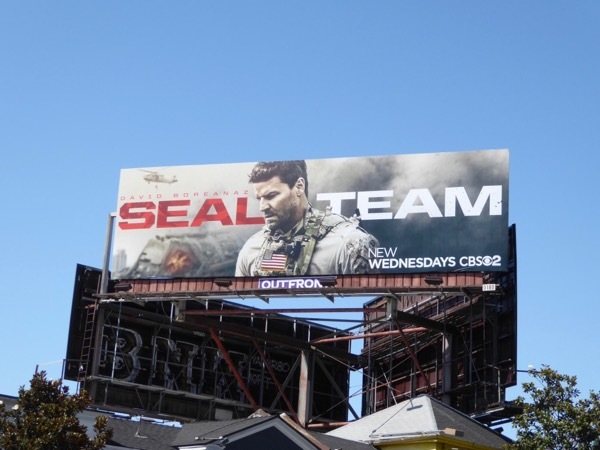 This fall season it looks like the networks are going to war with lots of different military-themed offerings. 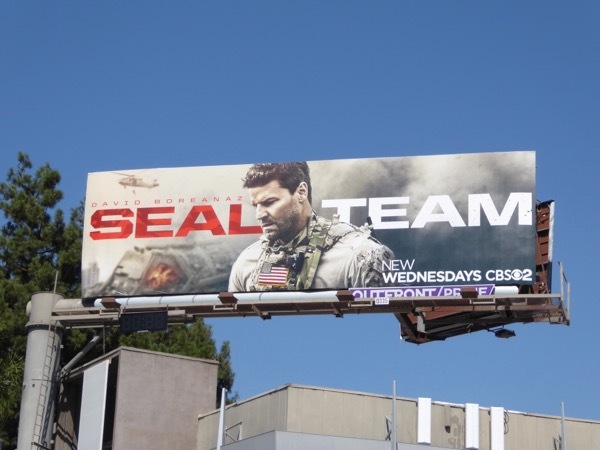 This September CBS is hoping that its SEAL Team will deliver viewers to the network with David Boreanaz headlining a series about the lives of an elite U.S. Navy SEAL team as they train, plan and carry out the most dangerous, high-stakes missions. 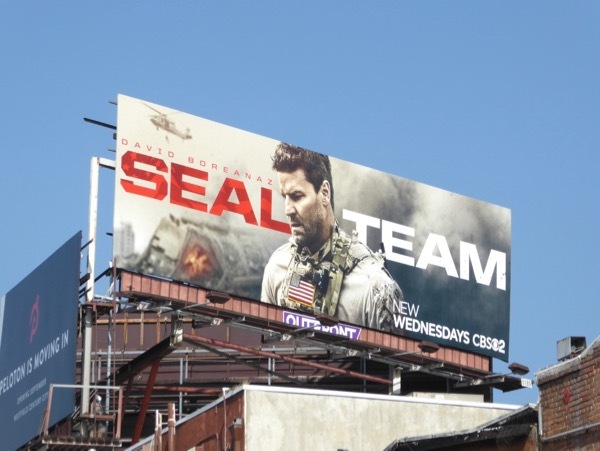 Meanwhile over on NBC they have The Brave debuting and The CW will air Valor this season, so it's no wonder that CBS has flooded the skies with an onslaught of ad creatives for SEAL Team these past few weeks. 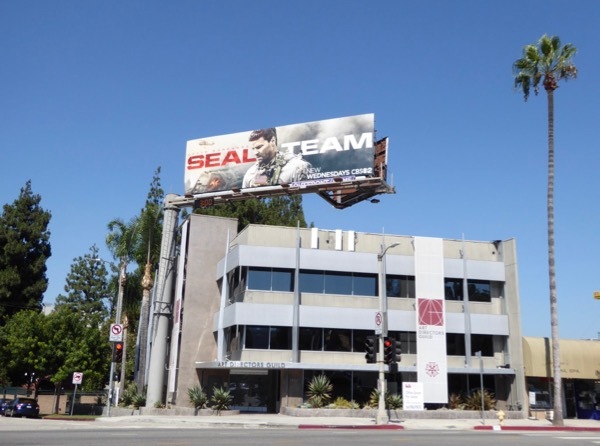 These series launch billboards were photographed above Ventura Boulevard, Pico Boulevard and the Sunset Strip from August 20 to August 26, 2017. 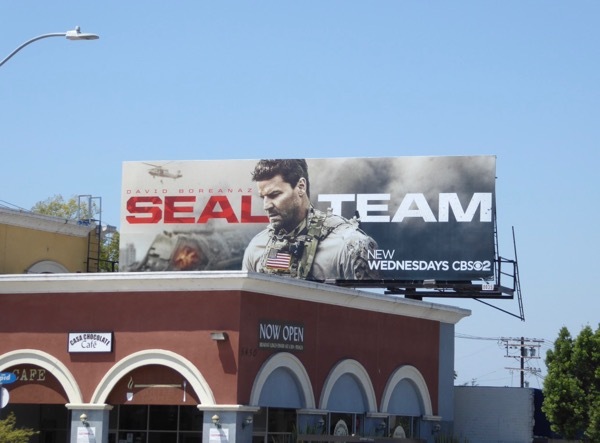 Only time and audiences will tell which patriotic military drama will win the TV battle this fall season.